As Iranian minorities join protests, should the US and Israel arm them? 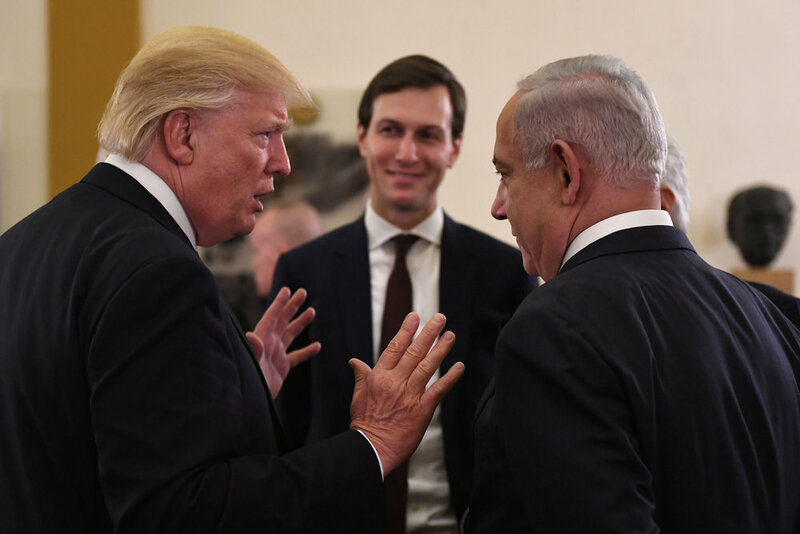 Prime Minister Benjamin Netanyahu (right) and President Donald Trump (left) with White House adviser Jared Kushner (center) at the start of a meeting in Jerusalem on May 22, 2017. Credit: Kobi Gideon/GPO. As the anti-regime protests wind down in Iran, the White House said Jan. 10 that the U.S. is “deeply concerned” about reports that Iranian authorities have arrested thousands of citizens, with some purportedly being tortured or killed. Meanwhile, the head of the Israeli Mossad intelligence agency, Yossi Cohen, said Jan. 9 that Israel has “eyes and ears” inside Iran and would “be very happy to see a social revolution” in the Islamic Republic. But could the U.S. and Israel more aggressively promote regime change in Iran through supporting dissident minority groups, including by arming them? That was the recommendation put forth by Prof. Hillel Frisch, an expert on Islamic fundamentalism in the Middle East, in a report published this week for Bar-Ilan University’s Begin-Sadat Center for Strategic Studies. “In areas inhabited by minorities, such as the Kurds or the Arabs in the country’s southwest, efforts should be expended to conduct guerrilla operations,” wrote Frisch. While the demonstrations have clearly abated “in the face of Iran’s costly imperialist commitments to allies which only drain its resources and come at the expense of the economic welfare of its citizens, one can expect further waves of protest,” he said. “Like a good surfer, the United States should make sure it does not miss the coming big wave,” Frisch added. Has nationalism played a role in the protests? Approximately 90-95 percent of Iranians are Shi’a Muslims, while the rest are Sunni Muslims or followers of other religions, including Zoroastrians, Jews and Christians, according to a 2011 estimate by the CIA World Factbook. Iran’s ethnic minorities are mainly Azerbaijanis, Kurds, Baluchis and Arabs. This issue of self-determination would be present even if the current government were overthrown, said Bawecani, an Iranian Kurd originating from what he considers Iranian-occupied territory. He currently resides outside of Iran, but stays in touch with those in the Islamic Republic’s Kurdish region. He noted that anti-government protests were taking place throughout the Kurdish areas of Iran. In the 1950s, David Ben-Gurion developed the “periphery doctrine”—a policy of recruiting non-Arab allies like Iran and Turkey in order to help Israel overcome the Arab world’s hostility towards the Jewish state. In that sense, supporting the U.S. in arming Iranian minorities such as the Kurds would not be an entirely new strategy for Israel. For instance, following the 1979 Islamic Revolution, Israel reportedly used Iraqi Kurdistan as a base for the collection of intelligence against Iran. Israel has been linked with supporting Baluchi fighters in Iran. According to two U.S. intelligence officials quoted in a 2012 article in Foreign Policy, Israeli Mossad agents posed as American spies in order to recruit members of the Jundallah organization who were responsible for terrorist attacks against the Iranian regime. Further, media reports have raised the possibility that Israel could launch airstrikes against Iranian military sites from bases in Azerbaijan, which shares a border with Iran. There are an estimated 16-25 million Azerbaijani Shi’a Muslims living in Iran. Posted on January 15, 2018 by Ariel Ben Solomon/JNS.org and filed under Israel, News, U.S. and tagged Main.